In today’s business environment, where a majority of transactions are now conducted online, the increasing use of technology can leave a company vulnerable to costly security breaches. Cybercrime becomes a bigger and bigger problem every day and businesses are paying for it, but cyber insurance can offer some much-needed protection. 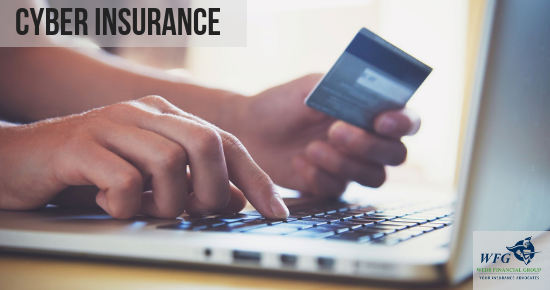 A cyber insurance policy helps protect a business against losses due to a cyber attack. It is designed to help reduce risk exposure by offsetting the costs that would be incurred if a security breach should occur. While large companies tend to make headlines for their massive security breaches, small and mid-sized companies are also vulnerable and are often specifically targeted. In essence, any company that conducts any online business can be subject to a cyber attack and can benefit from cyber insurance. Data breaches are an unfortunate fact of life and they will only get worse over time. An experienced agent, like those at Webb Financial Group, can help determine which policy is best-suited for your particular business structure. Call us at 847-604-5434 to speak to one of our knowledgeable policy advisors, who can customize a policy that can help protect your business from the often devastating losses that can potentially come from a cyber attack.